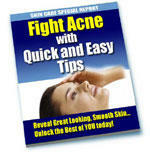 Benzoyl peroxide (BP) is a topical disinfectant that was originally used as a peeling agent for acne. Its mechanism of action is through lowering P. acnes populations by oxidative killing, and the drug is extremely effective as a topical agent. When applied to the skin, BP breaks down into benzoic acid and hydrogen peroxide (1,2). It assumed that the peroxide accounts for the majority of bactericidal activity, but no studies have been performed to assess the activity of benzoic acid in acne. The major side effect of BP is irritation, which usually is easily managed with moisturizers. However, BP has been reported as a contact sensitizer in as many as 4% of patients and can reach nearly 75% when applied to leg ulcers (3), but in clinical acne practice actual contact allergy is rarely noted. As a heavy prescriber of the drug, I see, at most, a case every few years. Various concentrations of BP are available, but there is no convincing data to prove that high concentrations are more effective than lower ones. P. acnes reduction is as effective by 2.5% as 10% BP (4), and one small study shows therapeutic equivalence between 2.5%, 5%, and 10% BP gels and a lower rate of irritation with 2.5% than the higher concentrations (5). BP washes are useful in particular for trunk acne since they can cover a large area easily, but in the past have been of fairly low potency. Newer formulations have been designed to have greater substantivity and are capable of P. acnes reductions near that of traditional gels and creams. As a single agent, BP is superior to clindamycin (6). Combination products of BP plus erythromycin or clindamycin have been developed and are more effective clinically than either product alone (6,7).